Jersey’s combined sailing clubs’ UBS Jersey Regatta will, once again, turn the beautiful arena of St Aubin’s Bay into a hive of activity and blaze of colour when an anticipated one hundred boats come to the line for the 19th edition of this star feature in the Island’s sailing calendar, programmed for Friday 15th to Sunday 17th September. Regatta Chairman Bill Harris explained that the sailing community was delighted that UBS AG Jersey, the leading provider of wealth management solutions in the Channel Islands, was keenly sponsoring the Regatta for the fifth year running. Tom Hill, UBS’ Group Country Head says ‘The Regatta is a major highlight in Jersey’s sporting life, we are delighted to be supporting this great event as a true expression of our commitment to Jersey’s community’. Having supported the Regatta since its inception in 1999, Ports of Jersey through Jersey Marinas is once again, providing complimentary berthing and other valuable assistance to help ensure that everyone has a great experience over the three days of the Regatta. Condor Ferries, for their part, is offering discounted fares to visiting sailors wishing to ship their boats to the Island for the event. The Regatta is primarily a sailing community event intended to provide fun and excitement for all, old and young, experienced racers and novices alike. 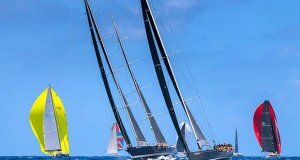 With a dazzling array of silverware and innumerable prizes at stake, competition will certainly be keen across the board whether it is in the cruiser/racer, sportsboat, dayboat, dinghy, sport catamaran or Kona OD windsurfer classes. Having introduced the windsurfer class for the first time in 2016, the organisers are delighted that Kona entrants will be racing for the British Championship this year. 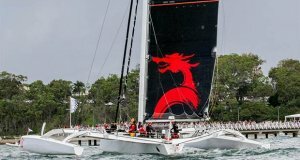 Racing will get under way on the Friday morning when the cruiser and sportsboat classes come to the line for a coastal race. Skippers should note that dual scoring, using boats’ IRC ratings and RYA NHC handicaps, will apply throughout. The ‘small’ boat classes’ programme follows during the Friday afternoon. With each day’s racing done, a lively shore-side social programme awaits all participants enabling them to enjoy the camaraderie and ever-warm reception that awaits them in the clubs. 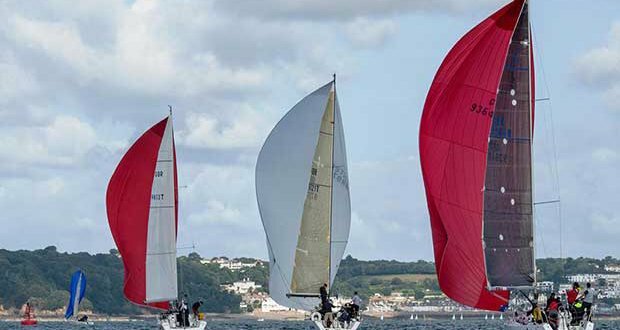 Local sailors and organisers are especially looking forward to welcoming the regular attendees from Guernsey, France and the UK, and to meeting those competing in the Regatta for the first time. The Notice of Race, with full details of all that’s on offer, and the sailing instructions are available on the Regatta website with hard copies of the Notice of Race also available in the clubs. Entrants should note that the discounted entry fee applies up to the absolute entry closing date, Wednesday 6th September. 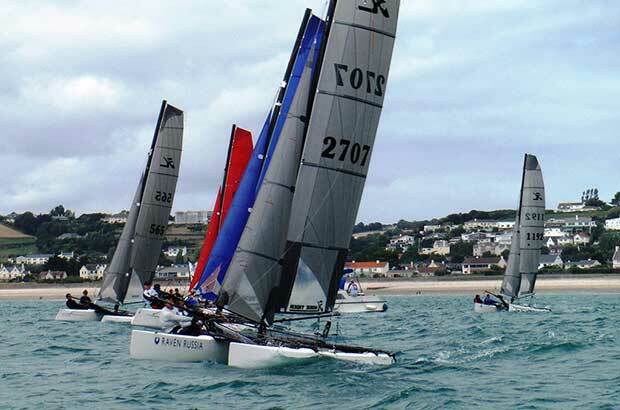 Further information is available from the Regatta Office, located in St Helier YC, either by e-mailing office@shyc.jeor by telephoning 00 44 (0) 1534 732229.